Polaris® All Aluminum Sport Decks offers you the ability to haul multiple sleds or 4-wheelers on the back of a pickup truck. 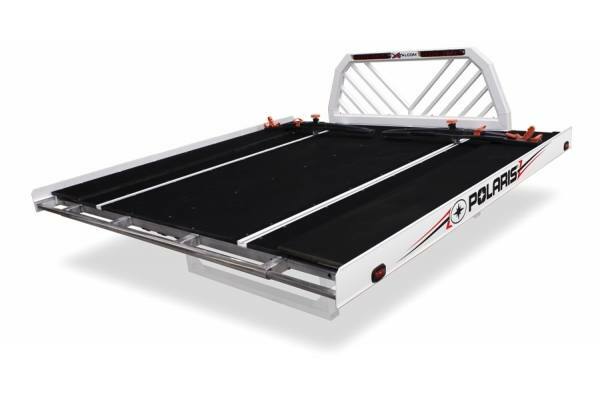 Our All Aluminum Sport Decks feature 5/8" Marine Tech Decking, a Full Length Slide Track Tie-Down System, 10' Telescoping Ramp, and a Sliding Leg System that fits most truck beds. Our Sport Decks can be upgraded and customized with various Options and Accessories.